What is it? Moderate intensity exercise is somewhere between walking and sprinting, easy and hard. 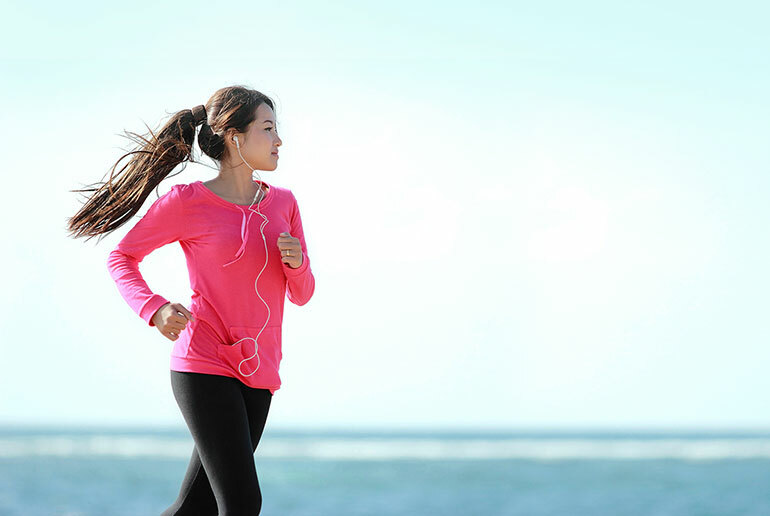 A common example is running/ jogging a long distance at a moderate pace. Most training is done at this level. You’re working out at a steady pace, you’re really sweating, and you can feel those happy hormones kicking in. How long, how hard? Moderate intensity exercise, as the name suggests, is moderate in intensity. It’s also long in duration, lasting between 30 minutes and 2 hours. Moderate intensity exercise is between 70% and 80% of maximal heart rate. You’re breathing steady, controlled and fast. You’re sweating after a few minutes and can just about talk in short sentences. What’s happening to your body? You’re working out in the aerobic training zone. Exercising at this intensity improves cardio-respiratory fitness – boosting lung power and strengthening your cardiovascular system. Moderate intensity exercise increases the number and size of blood vessels, improves the efficiency of blood circulation in the heart and skeletal muscles, and increases heart and lung capacity. Why do it? Exercising at moderate intensity improves fitness and is great for weight loss. You’re working out hard, but you’re also working out long enough, to burn a lot of calories. But even better, this way of exercising improves the body’s ability to burn more fat during exercise. According to research moderate intensity exercise also reduces stress, increases cognitive capacity, lowers the incidence depression, improves general mental health, and reduces the risk of diabetes. Who should do it? Moderate intensity exercise is great if you want to lose weight, are training for an athletic event, want to increase energy levels, endurance, general fitness and performance. How to use? Aim to exercise for 20 to 60 minutes at moderate intensity, at least 3 times a week. It’s great for improvers, and intermediate and advanced exercisers. Start slow, and build up intensity and duration gradually. If it’s too challenging to exercise continuously at this level turn it into an interval workout and incorporate some periods of rest, during which you go slower, to allow for recovery. As with all training techniques, mix up your exercise routine, and consider including tempo training, LSD, interval training and fartlek, depending on your goals and fitness level.